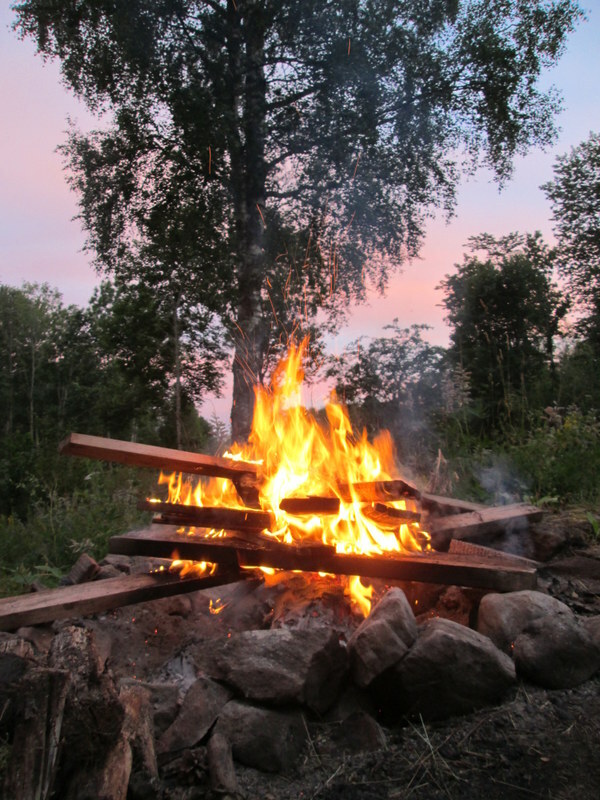 This Summer I went to Sweden for my aunt’s 60th birthday. My parents and I flew up to Copenhagen and then drove over to Sweden, where my family has a little house in the woods in Dalarna. Anyways, kanelbullar; for some reason, cinnamon buns and cold and rainy weather go really well together. I think this is directly linked to the Danish concept of ‘hygge‘, which roughly translates into a feeling of cosiness and the absence of anything bothersome or frustrating, preferably with candles or a fire, and something sweet to nibble on! Danes are way, way into hygge. And for the past week or so, Autumn has seriously settled in in Brussels; the days are growing shorter, and I have had to dig out my woollen socks and mittens. As a result, I am finding myself in great need of hygge, and since cinnamon buns spell hygge, I made some today. I will probably go back to my old recipe, although more time consuming! 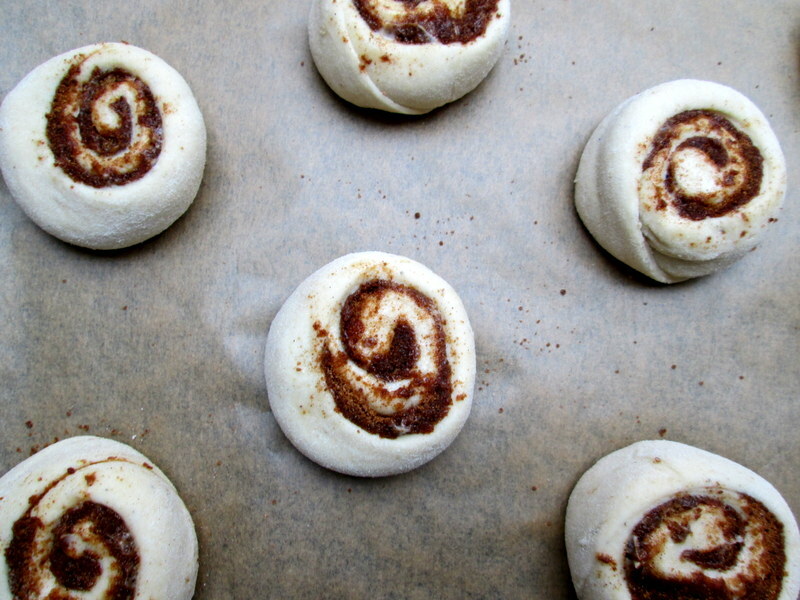 But should you be in need of super easy cinnamon buns in a jiffy, this is the recipe to use. Prehat your oven to 170˚C / 325˚F. Line two baking trays with baking parchment. Warm the buttermilk for just under a minute in the microwave on high, until it feels warm but not hot. 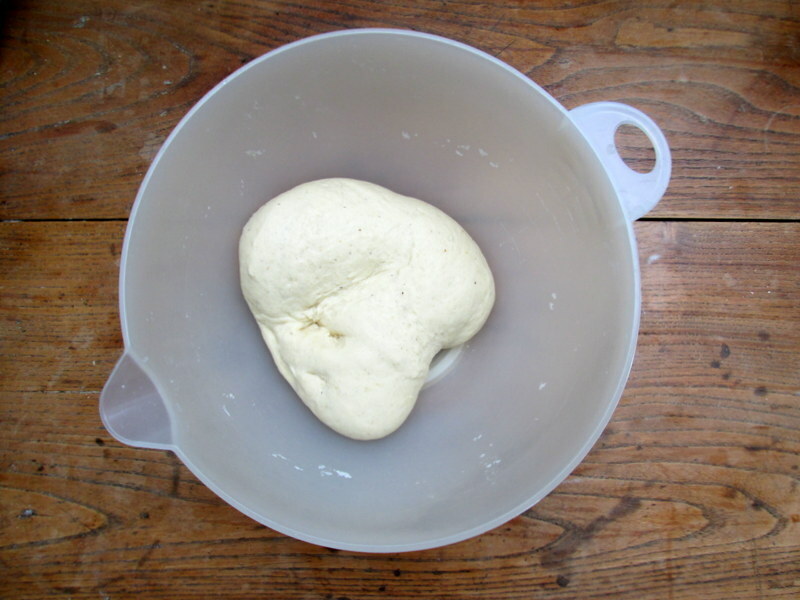 In a large bowl, mix the dry ingredients for the dough; make a well in the middle, and add the oil and buttermilk. With a fork, mix the wet ingredients into the dry until the dough starts to come together. If the dough seems very wet still, add a little amount more flour, then knead the dough for as long as you can be bothered! (I don’t have an electric mixer so I use my hands. My rule of thumb is to, once the dough starts to feel smooth and springy, knead for at least 200 more counts). 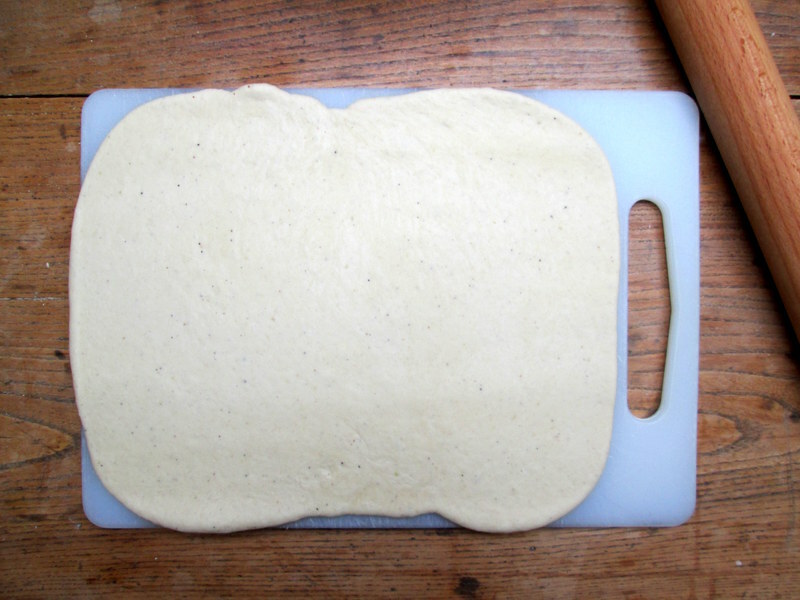 On a very lightly floured surface, roll the dough into a rectangle. Smear the soft butter onto the dough, leaving a margin of about an inch/2-3 cm. 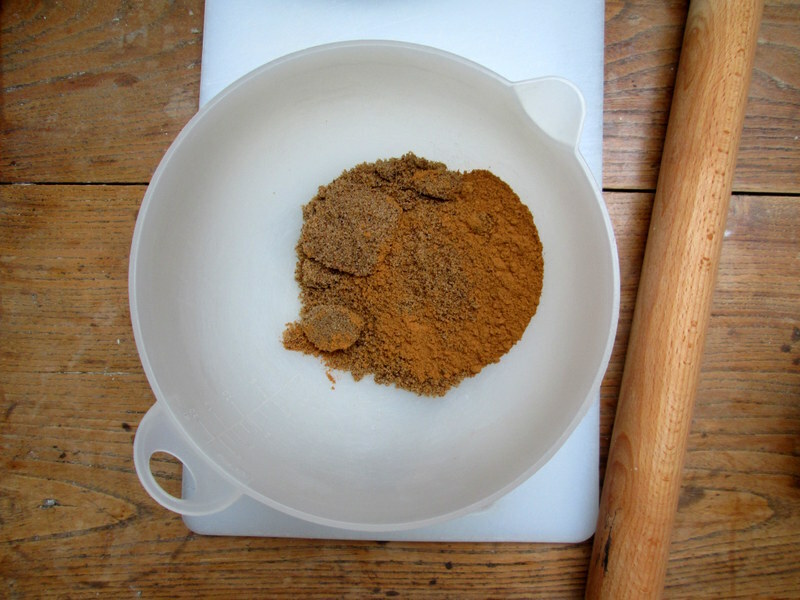 Mix together the brown sugar and cinnamon, and sprinkle evenly onto the butter. Roll as tightly as you can into a log. Cut the log into 14 slices, using either a sharp cerrated knife or dental floss (it really works, this is the first time I’ve tried it! 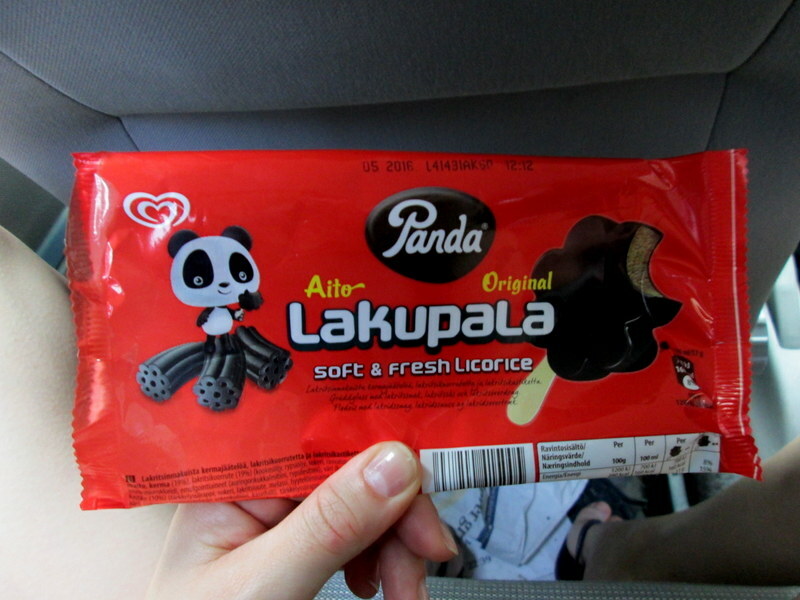 I only had floss with mint flavour, but it didn’t rub off onto the cinnamon buns, thankfully 😉 ). 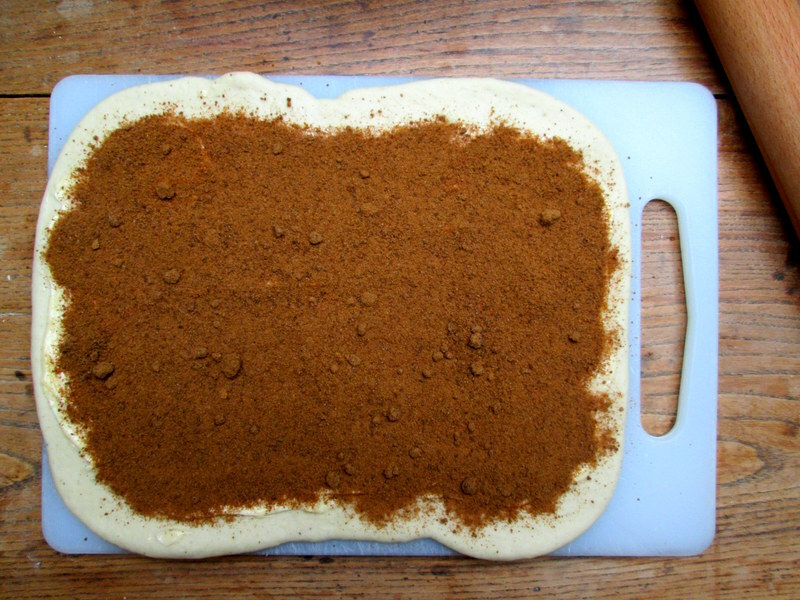 Place on the baking trays with a few centimetes between them, making sure to tuck in the end of the dough under the cinnamon bun, so that it doesn’t come undone while baking. Flatten the buns with the palm of you hand, then bake for about 15 minutes, until the cinnamon buns start to golden very lightly. Let cool, then drizzle with a glaze made of 100 g icing sugar and 1 ½ tbsp just boiled water. Cinnamon buns keep reasonably well until the next day, kept in an air-tight container, but are definitely best on the first day. You can freeze any leftover ones (just don’t frost them before freezing).